The new showroom of John Hackett performance – Ducati Coventry is now fully completed, with an amazing display of new and used Ducati Motorcycles all displayed on the stunning floor supplied to Ducati specification by Minoli. Although all Ducati dealerships are wonderful places to visit, just looking at the beautiful engineered bikes can be quite moving… but with John Hackett Performance there is the added excitement of the association to Ducati Racing, for which John Hackett – founder and owner , is famous. As well as all of the very latest Ducati road bikes, there are on display several classic and contemporary racing bikes, from the world of Super Bikes and Grand Prix Racing. 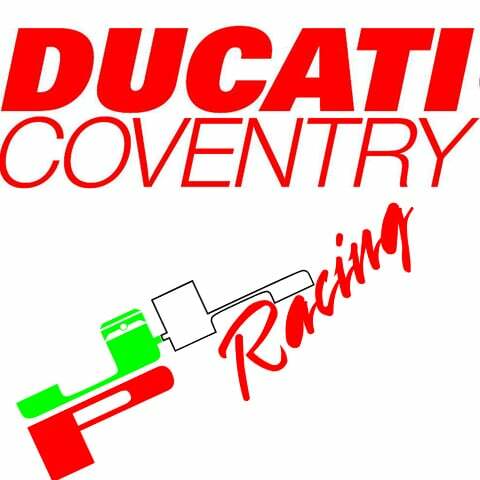 We are delighted to have been able to work with John and the team at Ducati Coventry to help make the showroom such a showcase for Ducati and for John Hackett performance. And…. A special thank you from Jonathon to the entire team at Ducati Coventry for looking after his Bike! !